Players in SURGE Classic navigate a spaceship through a variety of challenges. 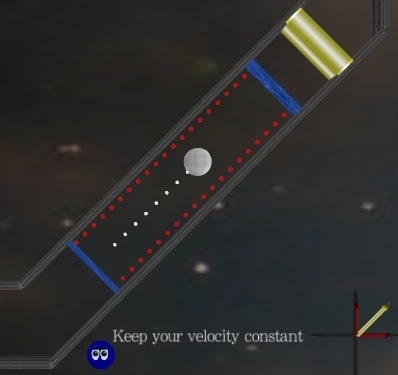 Students explore Newtonian mechanics by applying impulses or constant acceleration to the spaceship in real-time, thereby modifying the motion of the spaceship. The spaceship must traverse a series of challenging levels to achieve specified objectives. In order to achieve the objectives, a physics principle or principles need to be applied.